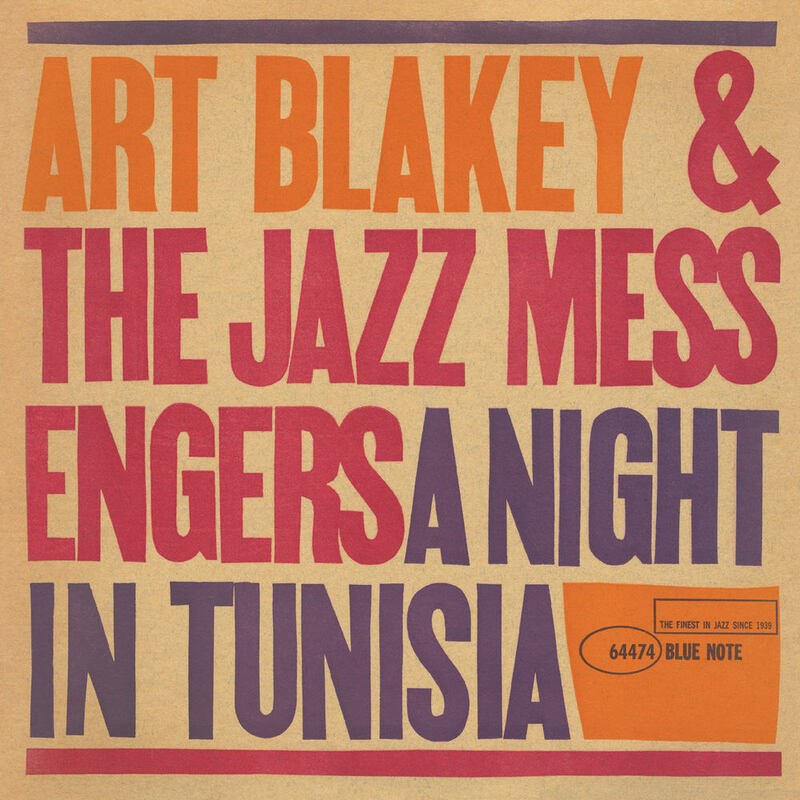 "... Blakey and the Jazz Messengers met their artistic peak with the powerful A Night In Tunisia." "... a bona fide classic ... one of the best Blakey and his important group produced, from opening tune to end." "From Blakey's thunderous opening crash through its explosive conclusion, this version of A Night In Tunisia is like a roller coaster ride through a minefield. Hold on to your hat." "... jumps right into powerful rhythms ... the melody, the chord changes and even the solos are all just an afterthought to the music's driving force. The force is unrelenting ... solid remastering, allowing Blakey's imaginative polyrhythms to stand out more crisply." Considered one of Art Blakey's best, if not the best, outings with his Jazz Messengers. This highly acclaimed 1960 session showcases a front line of Lee Morgan on trumpet and Wayne Shorter on tenor saxophone, plus the rhythm section of Bobby Timmons on piano and Jymie Merritt on bass joining Blakey on drums. Recording by Rudy Van Gelder. Mastered by Bernie Grundman, 2013. Cover Design by Reid Miles.